This stunning Palm Springs, California backyard belongs to author Peter Moruzzi. The palm trees and cascading San Jacinto mountains provide the backdrop, while the bright yellow accents provide the fun! 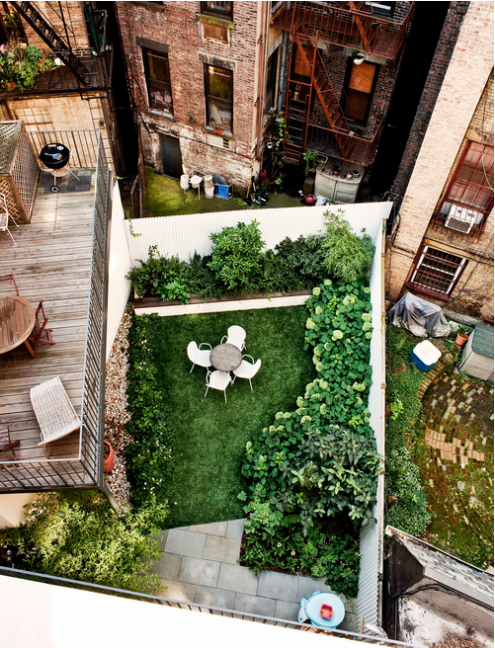 Who says you can’t have a great back yard in the city? A simple mod dining set can make all the difference when you’re dealing with limited space. 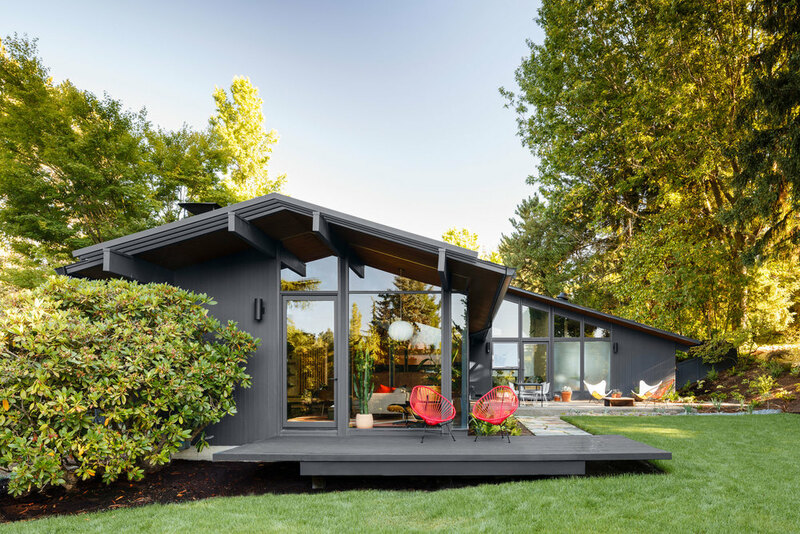 The classic midcentury silhouette and large windows in this 1950s Portland, Oregon home create the perfect backdrop for backyard entertaining. Strategically placed chairs, a stone walking area, and partial deck allow guests plenty of seating opportunities. 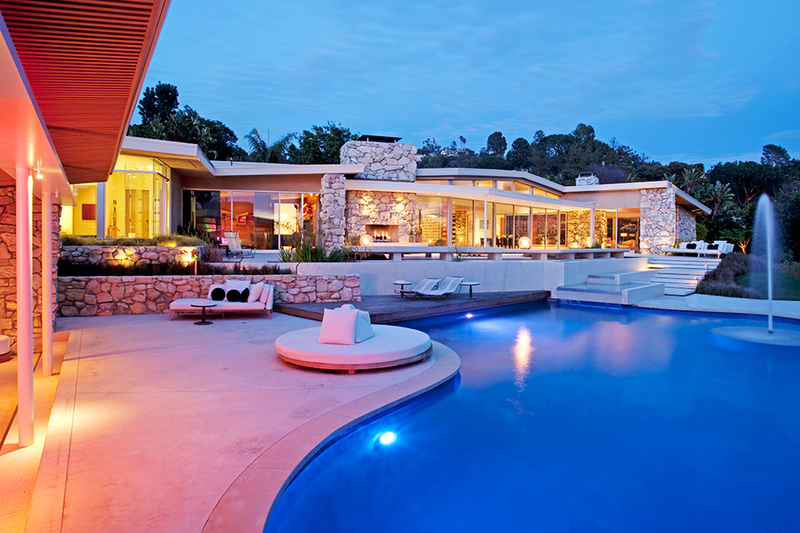 Located in the Beverly Hills, California neighborhood of Trousdale Estates, this 1958 home has everything needed for a posh outdoor cocktail party. Secluded seating areas and tired landscaping make good use of its expansive size while still allowing for more intimate gathering spaces. Once a “barren backyard and a tiny patio,” the addition of two large mature trees added both shade and dimension to the area. 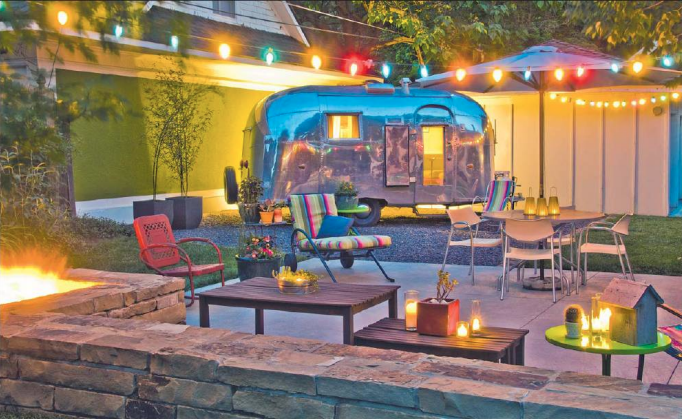 A shiny Airstream trailer reflects colorful lights and vintage metal furniture to create the perfect outdoor party patio. 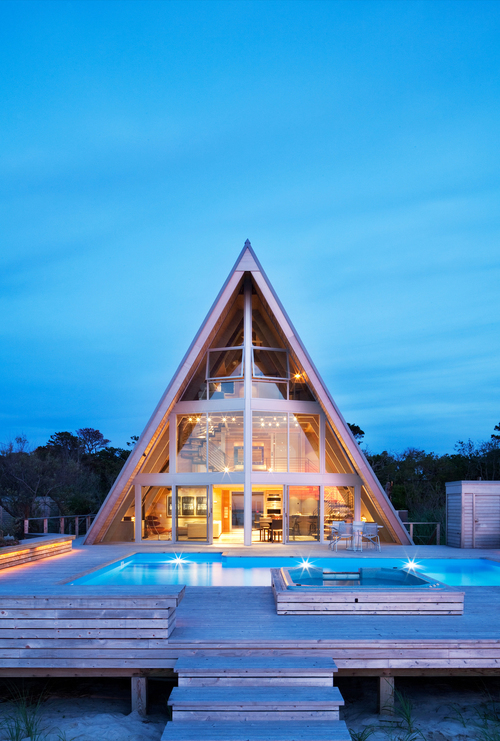 Located in the New York summer retreat of Fire Island, this 1960s A-frame was recently renovated to take advantage of impressive Great South Bay views. The windows are mostly kept open but can be converted to a frosted finish with the flick of a switch when privacy is desired.